CHARLOTTESVILLE, Va. -- The monument to Robert E. Lee in Lee Park was vandalized with the words "Black Lives Matter" in Charlottesville, Va. The vandalism was reported to the Charlottesville Police Department Tuesday morning, WVAW-TV reports. Charlottesville Parks and Recreation made arrangements to have the graffiti removed, which was quickly done, though it is still faintly visible. 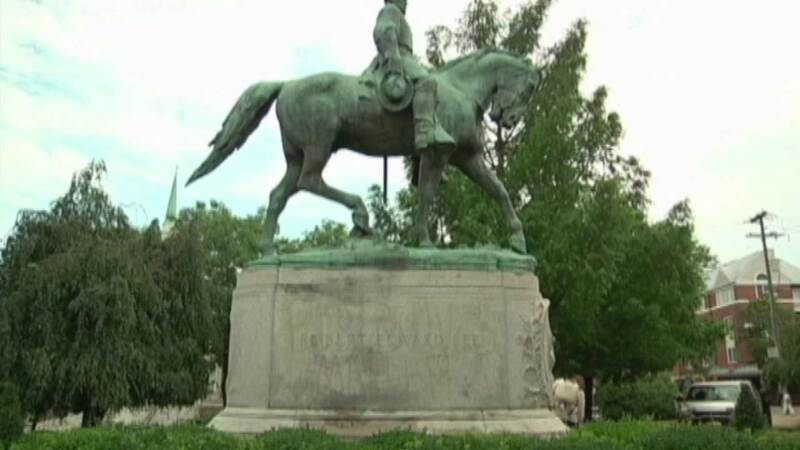 In recent weeks, several monuments to Civil War figures have been vandalized, including one in Richmond, Va. The vandalism of the monuments is potentially tied to the ongoing debate regarding the Confederate flag that erupted following the shooting at a church in Charleston, South Carolina, by a person who posted pictures online of himself with the flag. At this point, officials do not know who vandalized the statue.